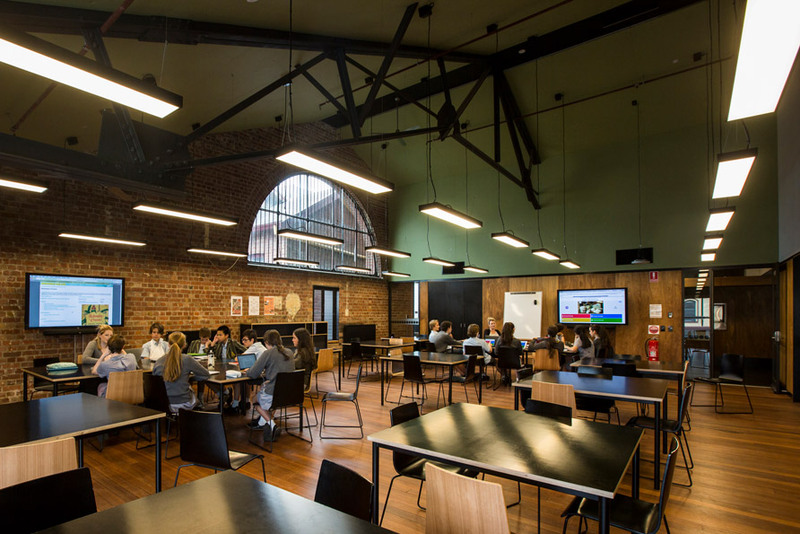 APC Environment Hub is an adaptive reuse of a significant heritage listed Sandridge Post and Telegraph Office (JJ Clarke 1887) and Naval Drill Hall (1911). 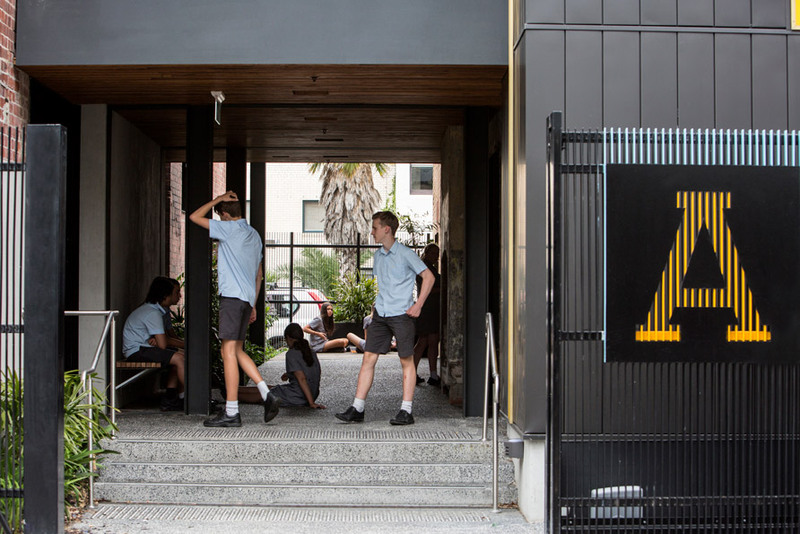 The design highlights the heritage qualities - robust construction, light and airy interiors and original timber floors, and inserts modern teaching pedagogy and technology.The design adapts the existing mezzanine and lower floors into large teaching and learning spaces and retains the Drilll Hall as a performance and teaching space. 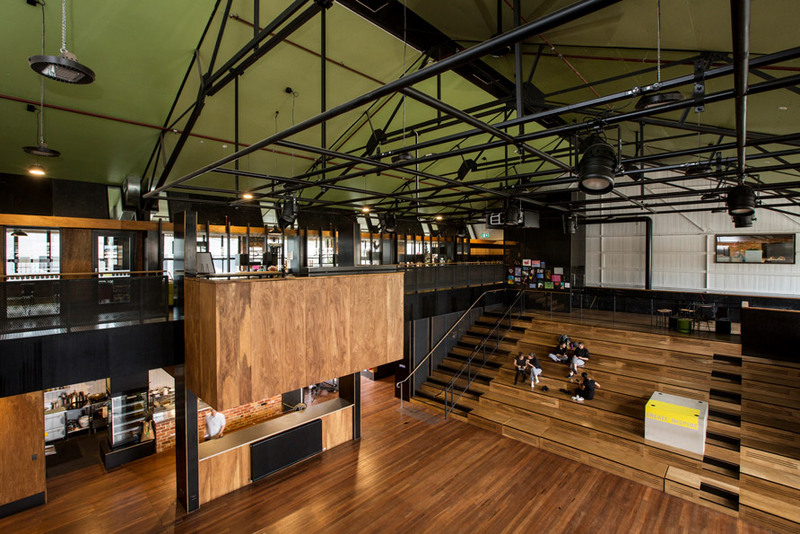 Connection of the two levels with a stepped timber seating area gives a unique appreciation of the building volume and increases the usefulness of the space for performance and large group activities.The Post Office is stripped to the original finishes and preserved in an elegantly unfinished state. Administrative, meeting and music rehearsal spaces are housed in this part of the development, utilizing its cellular brick spaces.A new link makes wayfinding through the buildings logical and secure, and provides disabled access throughout the buildings.Key design principles employed were: clear expression of the original heritage building fabric, cohesive materiality and subtle form of the inserted new works, using timber finishes to add warmth and texture and high ESD values.